Volume Shocking Mascara is the first two-step mascara to build super-lush, luminous lashes with extreme volume. STEP 1: Apply Lash Defining Base Coat that defines and smoothes lashes, perfectly preparing them for exceptional volume building. STEP 2: Apply Volume Constructing Top Coat. Perfect Dose Comb coats lashes with Expansyl-rich, ultra-volumizing mascara from root to tip. 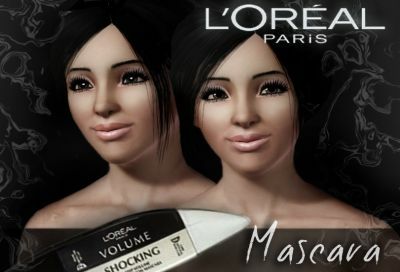 It thickens lashes to the extreme to build breathtaking volume. ONE RECOLORABLE PART TO CHANGE - AVAILABLE FROM TEEN TO ELDER.